After catching up on some much-needed sleep, tonight I chose to stay in and do homework. I made what I had hoped was the responsible decision. I was going be productive tonight. The work that I enjoyed, or at least didn’t mind doing, was of course already finished; I do my best to keep my weekends as free from work as possible. But of course, the only assignment that I had put off was the one that I hated: Mo Yan’s Garlic Ballads. For the most part, I love school, especially now that I’m in college. My peers, my professors, my campus, I love it. I love reading for the most part, and I spend lots of my free time reading. I don’t like, however, reading books that I don’t like. I hate reading books that I hate. I hate being forced to read (and eventually write essays on) books that I hate, especially when there are so many books that I’d love still out there waiting to be read. However, my hatred for failing a required course overrides my hatred for being forced to read books that I hate. 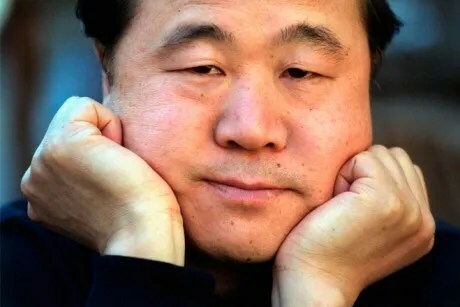 Basically, there’s no shortage of hatred to go around right now, and most of it is being aimed at Mo Yan. Yes, Mo Yan just won the Nobel Prize in Literature. Yes, he is well-reviewed. Yes, he does sell well. No, his accomplishments do not make the book any more interesting. It’s now 1:50AM. I only have 222 pages left. (only?) Maybe if I can get through page 65, getting through 286 will be easier. Maybe? I told myself I’d be productive tonight. Depending on how you measure it, maybe I have been. This entry was posted in Humor, Literature and tagged garlic, garlic ballads, homework, laureate, literature, literature 2012, mac, mac mccann, mccann, mo, mo yan, nobel laureate, nobel prize 2012, nobel prize in literature, novel, opinion, review, thoughts, yan by Mac McCann. Bookmark the permalink.